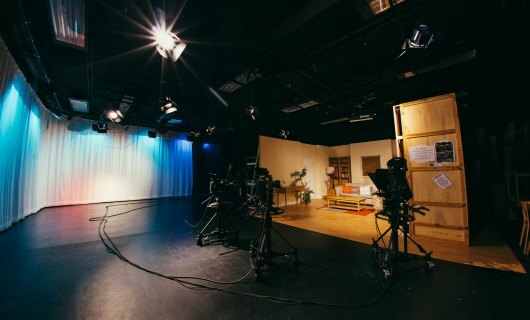 Studio hire for TV, film and corporate productions. 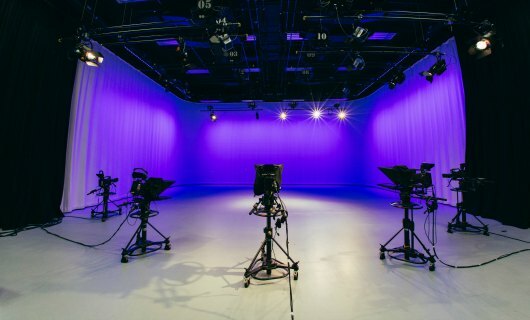 This vast space boasts a 14x17m wide space with a 20ft (6.1m) floor to grid. 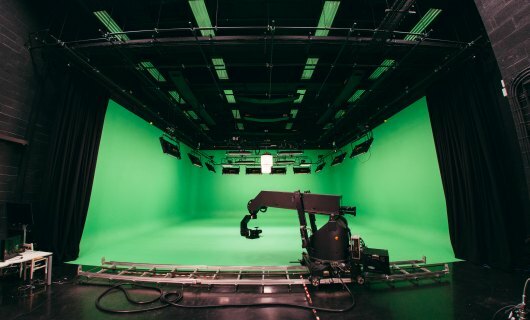 This space boasts the largest fixed green screen in the UK, with a 3 wall infinity cove. 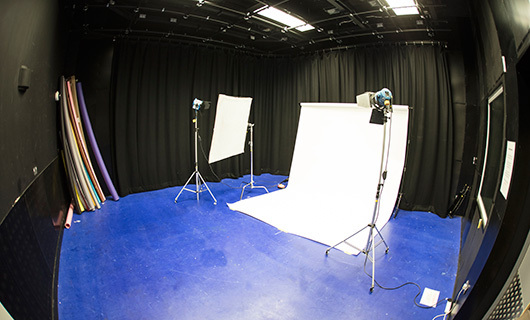 This studio houses a fixed drama set and has a double cyclorama curtain. 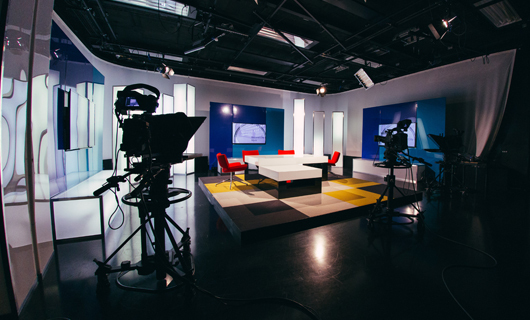 This space hosts an integrated TV set for a range of set-based productions. 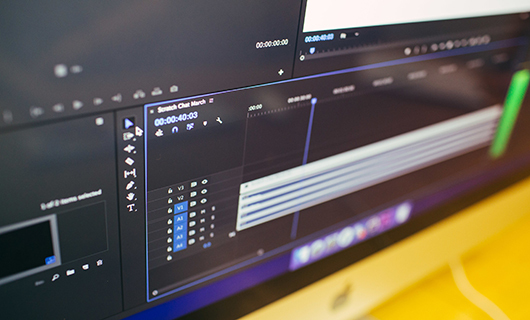 Our post production system enables content to be managed and distributed digitally. 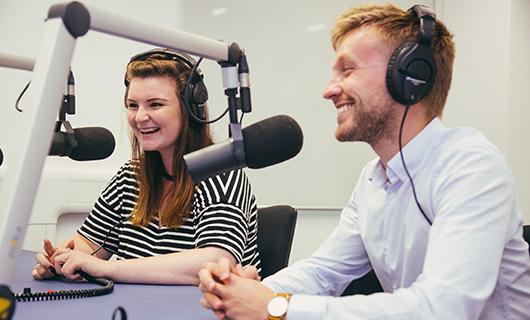 Curzon Street Studios has a central city location and offers excellent accessibility for those with limited mobility.